For most people, your wedding day is the one day in your life when you choose to spend the money to surround yourself with your very favorite flowers. 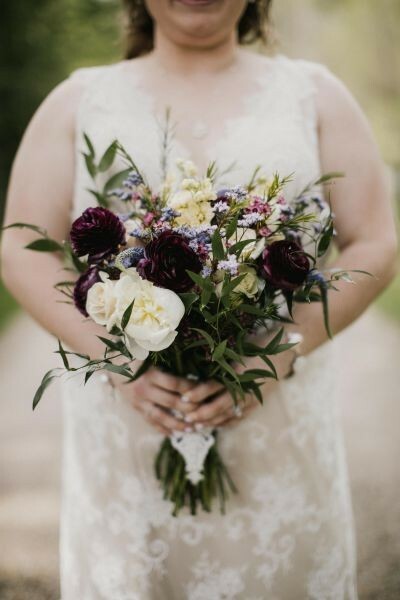 You will probably consider flower textures, tones, shapes, and how all of that comes together to create your dream bouquet, as well as the rest of the floral landscape that surrounds you on your wedding day. But once this dream day whirls by and comes to a close, you are left with the reality that all of your fresh flowers are only temporary. So you might find yourself asking, what can I do with my bridal bouquet to keep it forever? We have an idea for you! 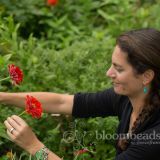 Our team at Bloombeads | Freezeframe can turn your flowers into wearable keepsake jewelry.​ That's right!! We make jewelry from the actual flower petals. The process starts when you either mail in or bring us some of the blooms from your bouquet that reflect your favorite colors from the bouquet. We then preserve the flowers by putting them in our freeze-dry machines, where they will stay for several months while the moisture is slowly removed from them, but the color is retained! Once the flowers come out of our dryers, we then make each of the colors of petals into pulp that is folded together to create a marbled pattern. We hand-form each piece, kiln-fire it, and then seal it. Your jewelry comes packaged in a beautiful keepsake box, and includes jewelry cleaner so you can care for it over time. Enjoy your one-of-a-kind day, and then have one-of-a-kind flower petal jewelry made so you can treasure the blooms for a lifetime!